I’m fairly new to making cakes, so wanted to combine my inexperience with them with something I know a bit more about; flooding with royal icing. You don’t want to see the edges of this cake at the back; who knew that covering a square cake could be so tricky!? Flood work, also known as runouts, transfers, color flow (by Wilton), or run sugar, is basically the piping of a runny royal icing onto parchment paper or acetate paper into an outlined shape. When the shape dries, you have an icing design which you can use for a multitude of decorating purposes; on cakes, cookies, gingerbread houses, cupcakes etc. You can also pipe onto wires, toothpicks, skewers etc. so that your design can be ‘free-standing’. 1. 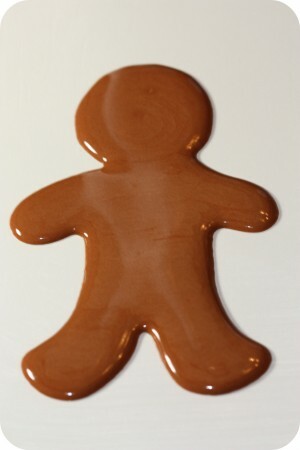 Make your royal icing, tint and thin it to the proper consistency. I use Peggy Porschen’s or Antonia74’s recipe and always use the 10 second rule, which is explained in this post here. 2. Place the pattern you’re tracing underneath parchment paper or a transparency. 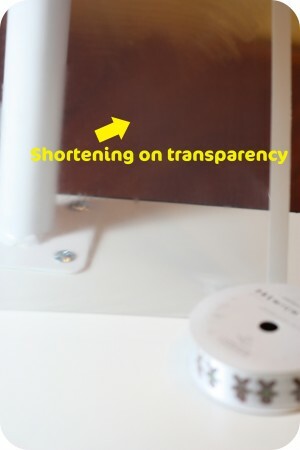 (Transparencies are also known as acetate paper). 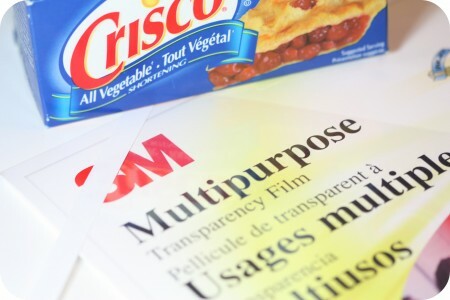 I prefer using transparencies over parchment paper. 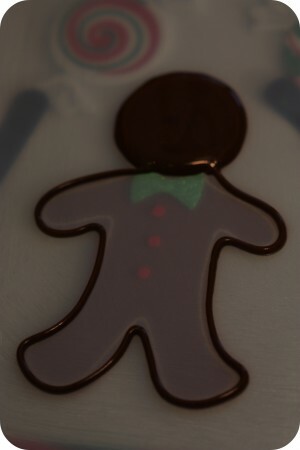 If you do end up trying the transparency, make sure you lightly smear it with shortening so your icing doesn’t stick. Before I go on to the next step I should mention that I often use my KopyKake drawing projector to project my image. With the projector you can play around with the size of the image, although if you don’t have one, you could photocopy your image and make it smaller or larger as you wish and then trace it. 3. Get your piping bags and tips ready. I usually use a #2 tip for everything, however, if you’re doing delicate work, use a #1 or #00 tip . If you’re filling in a larger area use tip #3 or higher. *Sorry this photo is so dark… only the projector light is on here. 4. 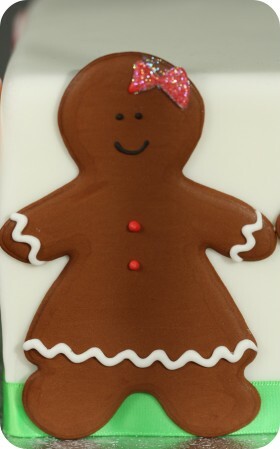 Outline your image with your flood-work royal icing and fill it right in. If your icing is the right consistency (not too runny and not too stiff), you have that option. Again, I use the 10 second rule to help me figure out the consistency, as mentioned in #1. Some people like to outline with a thicker/stiffer icing, let that dry, and then fill in later with the runnier, flood work icing. 5. Make multiples of your decoration as flood work breaks easily. 6. Let your first layer dry for 24 hours before you add more details. (Also see number 7 for drying time information). 7. After your final details have been piped, again let your decorations dry for 24 hours. How long it takes to dry does depend on the size of the decoration and the amount of humidity in the air, however, I find 24 hours seems to be a safe time. Some people like to dry their royal icing floodwork under heat lamps, or in a low-temperature oven, however I do find that the colors tend to bleed just a little, especially when a deep color such as red is beside white. These ‘peppermint candy’ shapes above were dried in an oven and you can see a tiny amount of bleeding. It’s a great technique if you’re pressed for time and probably better for colors which are not in such sharp contrast to each other as red and white. 8. Peel your dry royal icing runout gently away from its’ backing by using a metal spatula or palette knife or peel the parchment or transparency away from the design by putting it near the edge of the table and gently pulling the ‘paper’ away. 9. 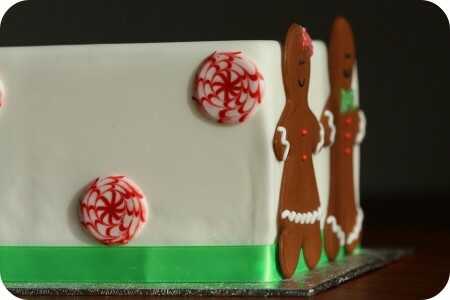 Put a small dab of royal icing on the back of your flood work decoration and delicately place onto your desired surface. For more information on storing royal icing decorations etc., please see the post here: How do you store royal icing and how long does it last? 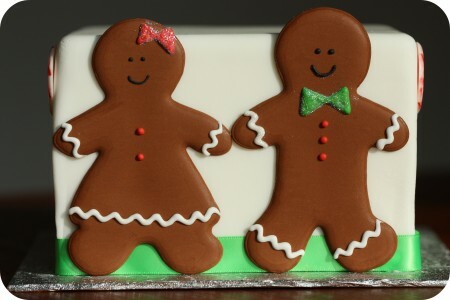 Since these sticker-inspired gingerbread people were originally intended for a gingerbread house I made, but I had extra which I didn’t use, they aren’t the right size. 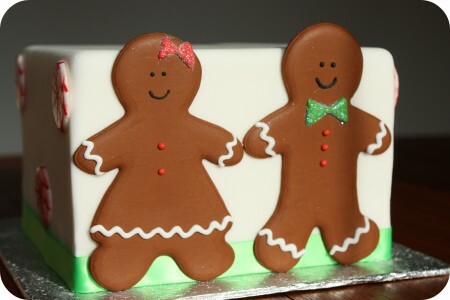 They’d probably look nicer if their height matched the dimensions of the cake. If you have any more tips or ideas about flood work, I’d love to hear from you in the comment section below. I’d also love to hear from you if you know the correct spelling of the term, ‘floodwork’. Is it two words or one? > patch once dried and I know it’s to do with air etc but can’t understand. I’m about to do some transfers and was wondering if I can grease with butter instead of shortening? Will that negatively affect my runouts? Or, if I use wax paper, can I not grease it at all? Hi Marian. I’ve been trying to make royal icing transfers and they break every time 🙁 I also use acetate paper, grease these papers and let them dry 3 days. Could you help me please? Do you know why that happens? I made 3 batches and 40 transfers and all them crack. I just outline the shape, I don’t flood them. … his thin arms broke (well one did), when I tried to peel the transfer away, and I had to pipe it again when the snowman was on the cake. I mention that in the post or video.